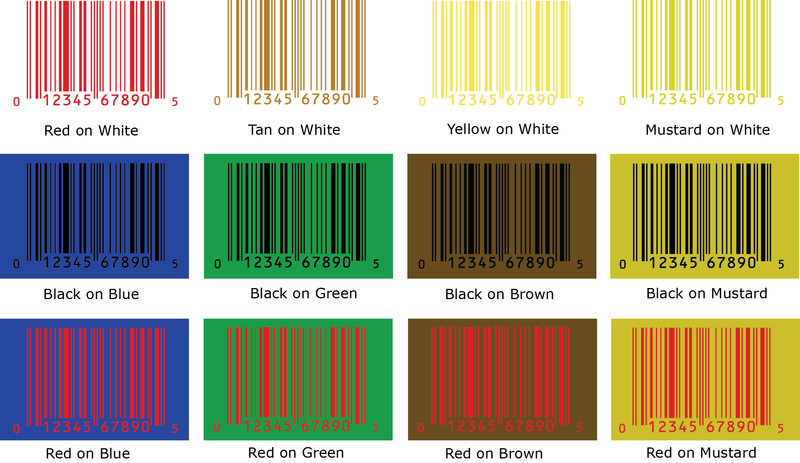 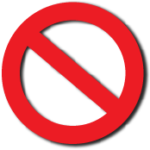 Since most barcode scanners operate with a laser which identifies “red” as white, it is extremely important that appropriate bar and space colors are determined. 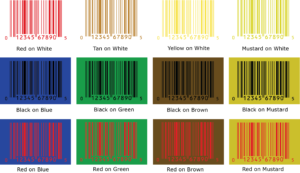 UPC color guide chart below provides a simple illustration of color combinations that provide adequate contrast between the dark bars and the light spaces. 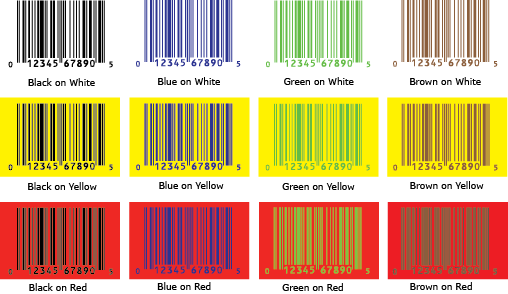 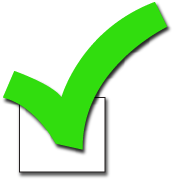 The barcodes illustrated above are UPC Barcodes, and the color guide is applicable for all linear barcodes symbols.